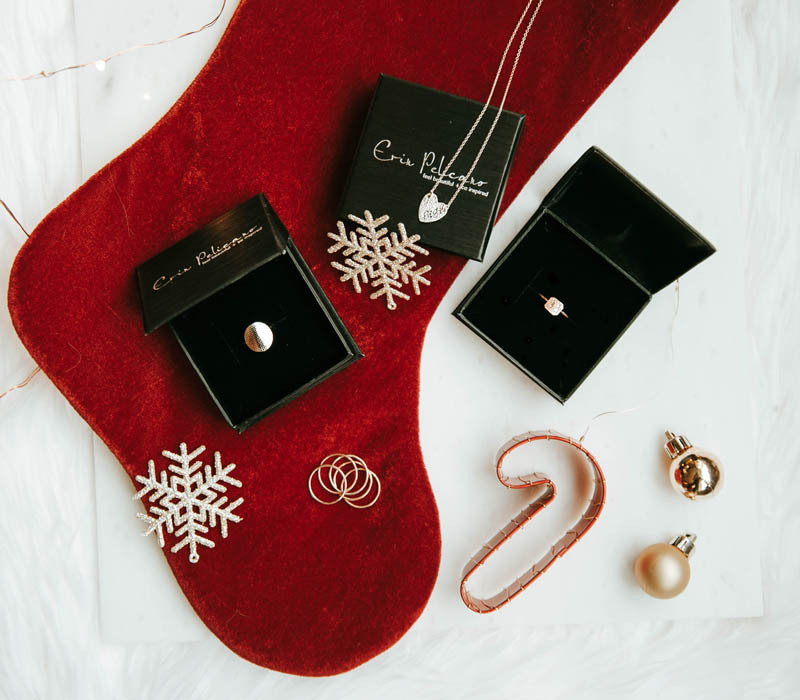 All of the gifts she really wants, all in one place. 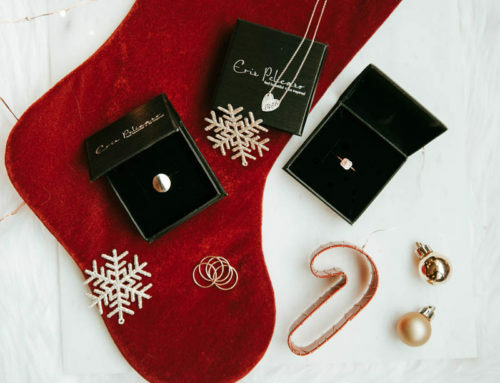 Shopping for your significant other isn’t always easy, but we wanted to make it easier on you. 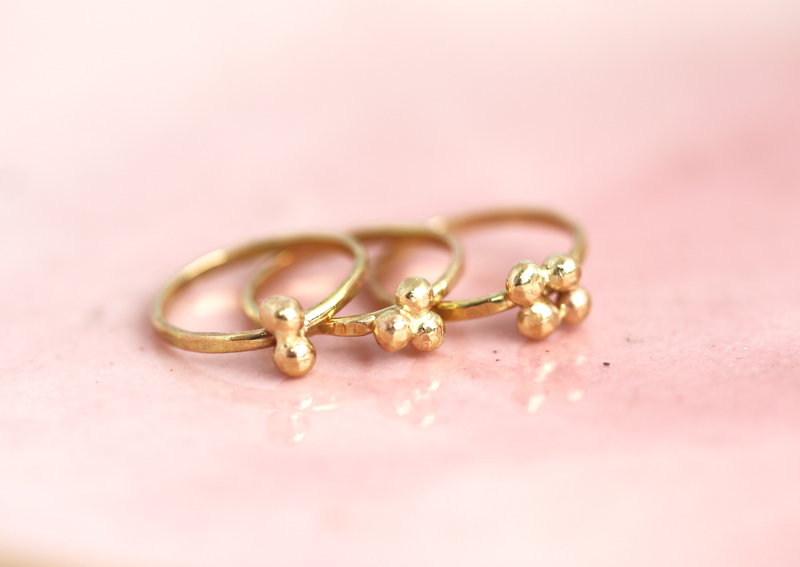 For custom orders and inquiries, don’t be shy to reach out! 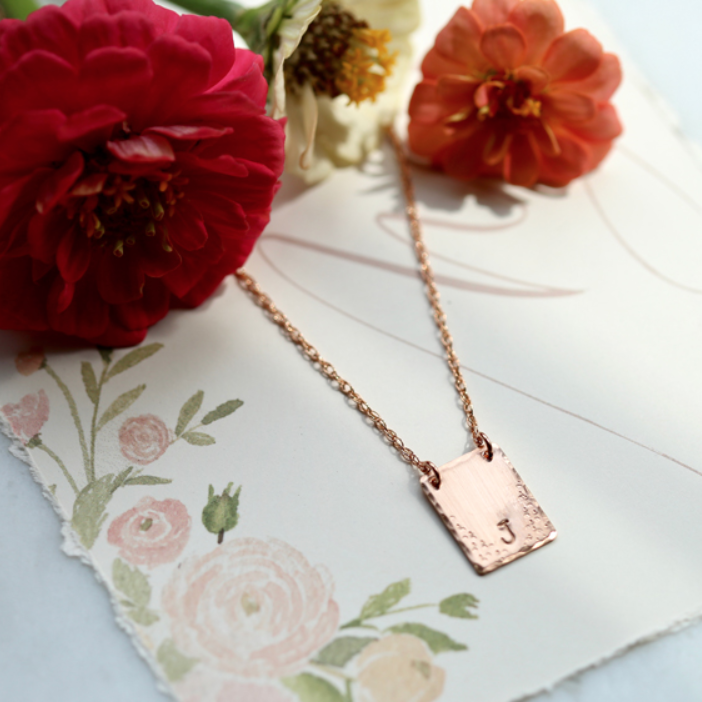 A handmade hammered rectangle in your choice of Sterling Silver, Rose Gold Dipped or Yellow Gold Dipped with one personalized Initial or Symbol included. 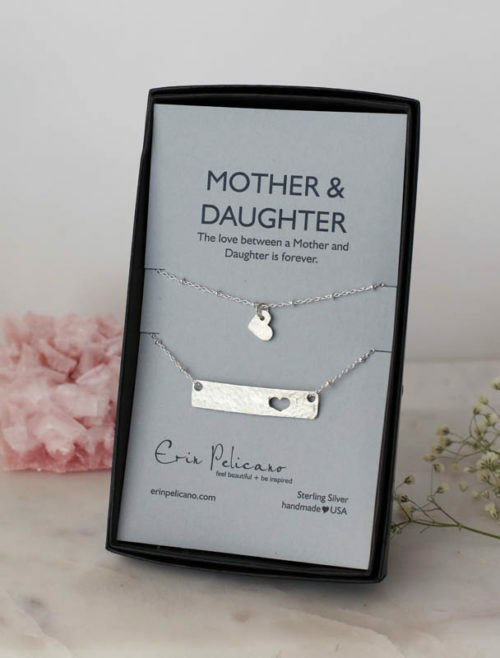 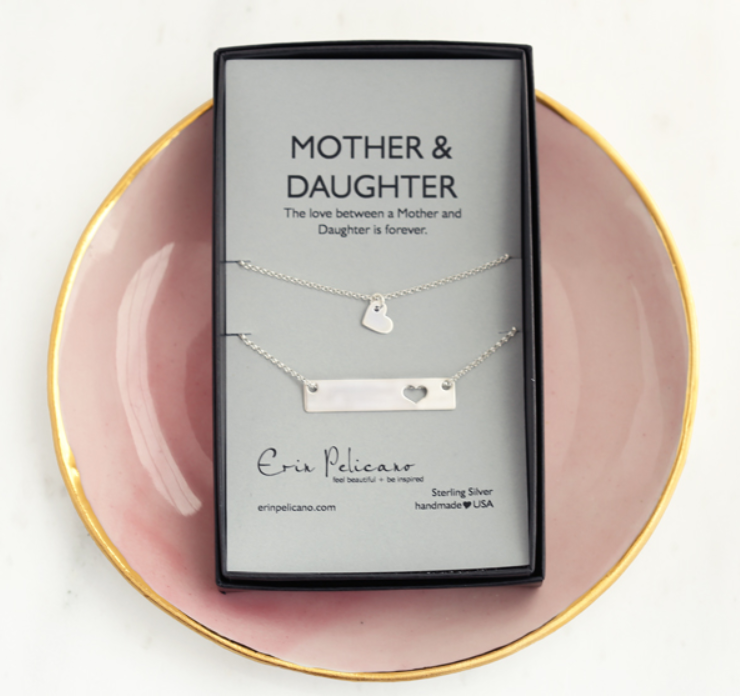 Mom & Daughter Bar Necklace Set, with a smooth brushed finish. 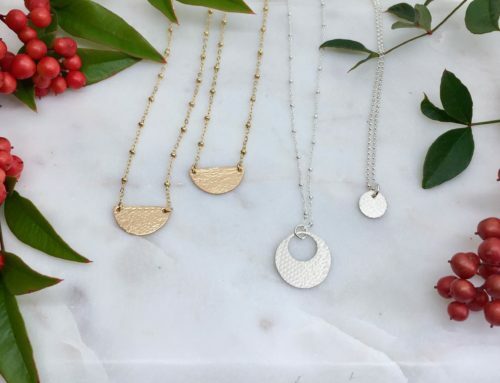 These sets offer your choice of sterling silver, rose gold or yellow gold dipped. 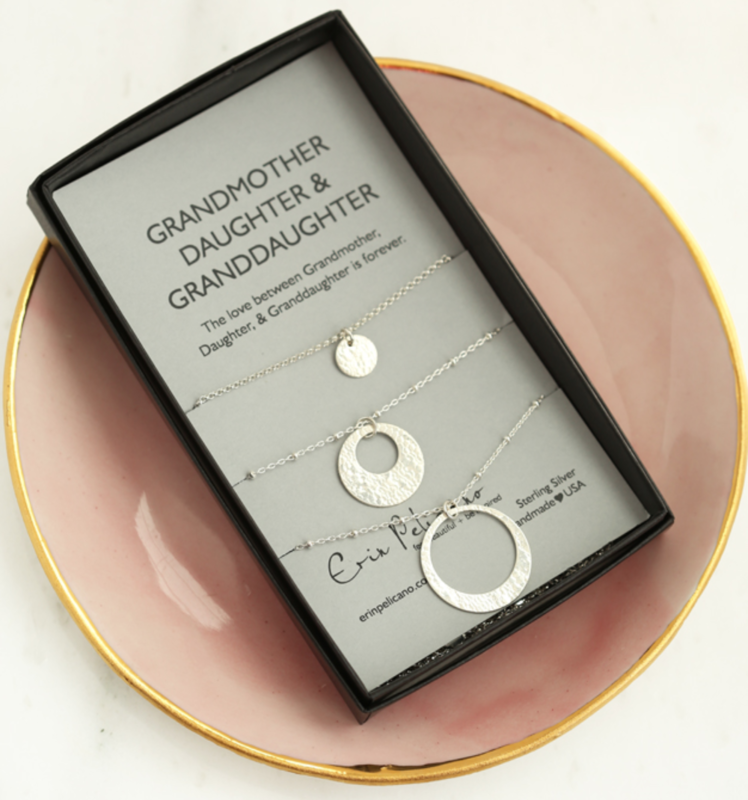 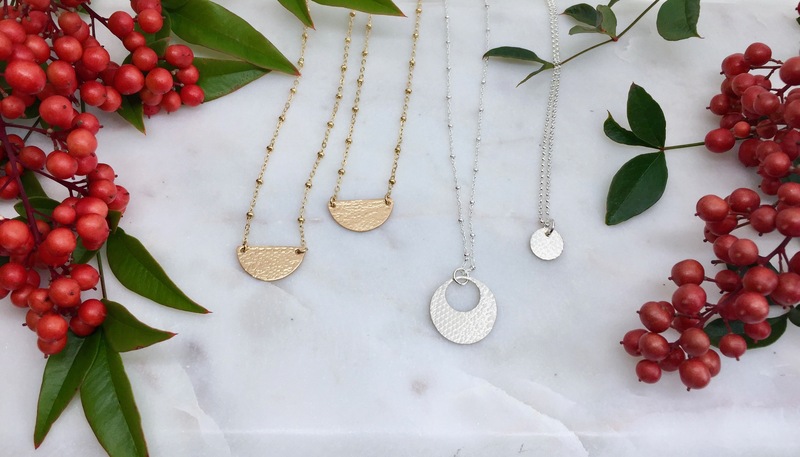 This set of three nesting necklaces represents the lifelong bond and love between grandmothers, daughters and granddaughters. 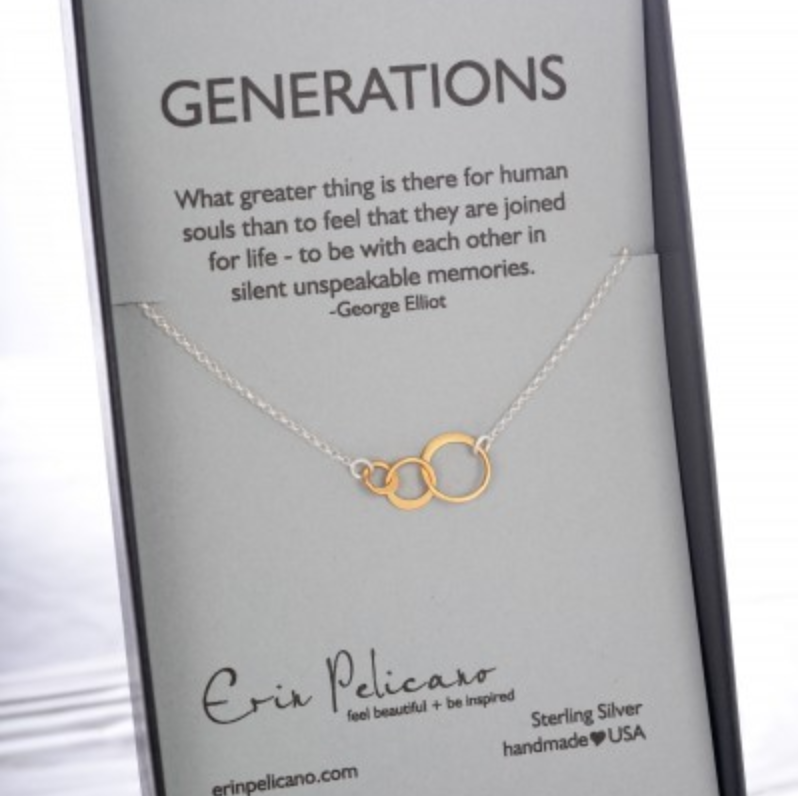 This simple necklace represents the ties between generations. 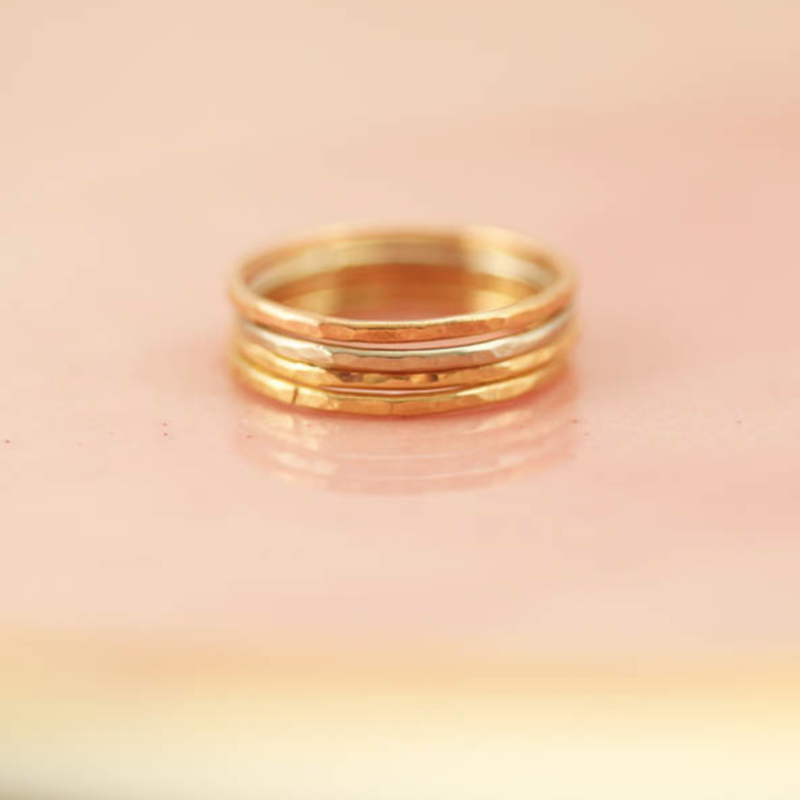 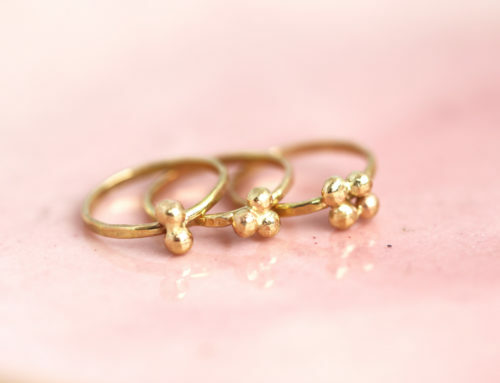 The three gold vermeil rings are intertwined, as the lives of family generations. 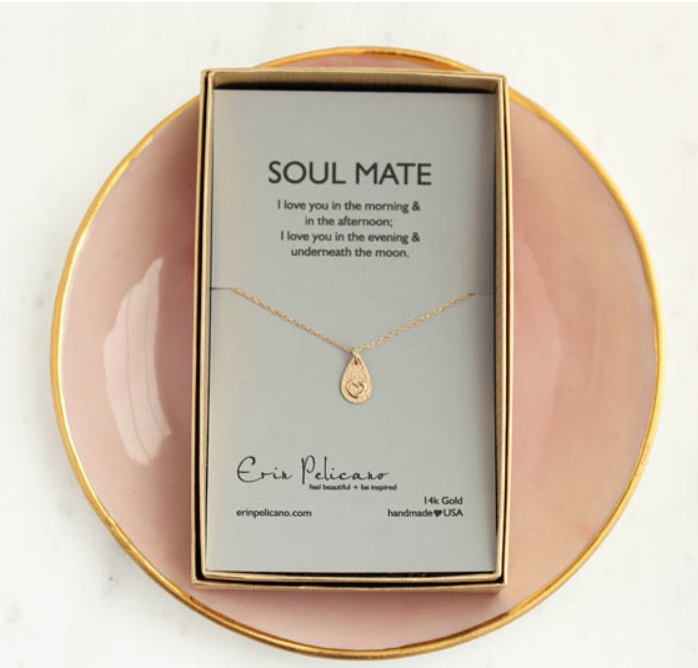 A luxurious delicate fine 14k gold love necklace for celebrating your soul mate. 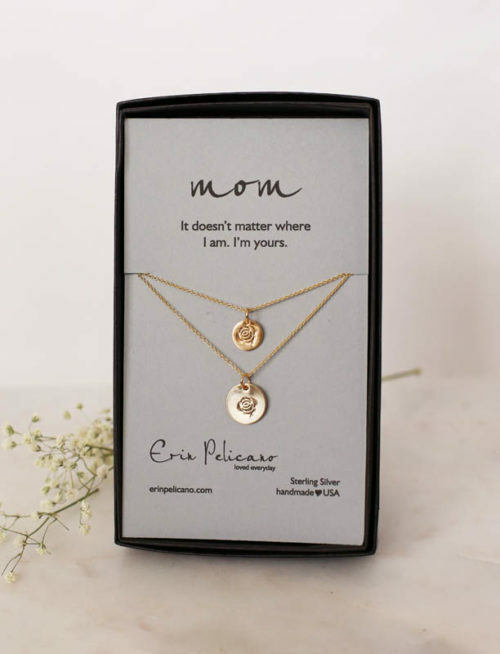 This meaningful gift, is perfect to wear alone or with other necklaces. 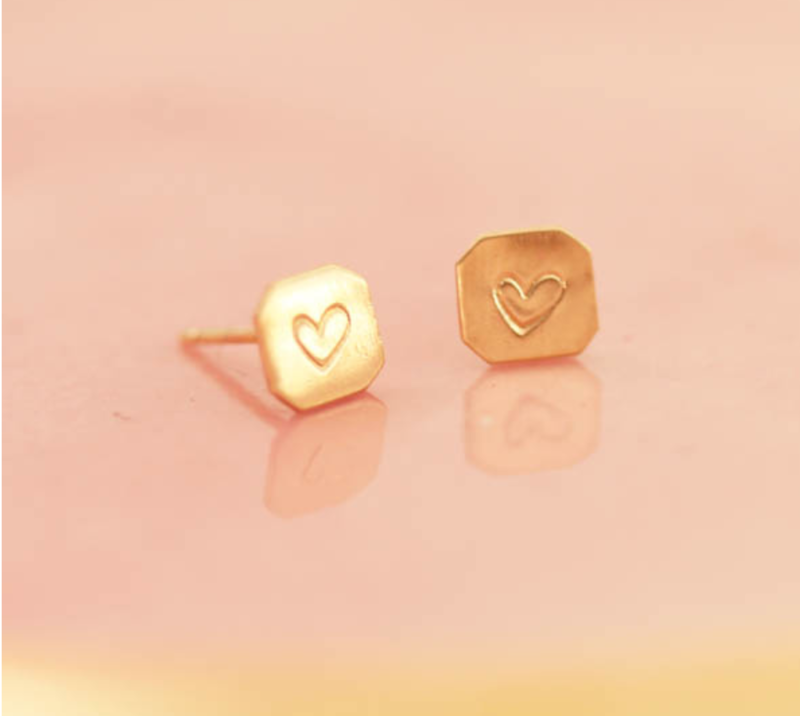 Artisan crafted luxurious fine 14k gold pair of heart stud earrings, each square stud is stamped with a single heart, solid 14k gold posts. 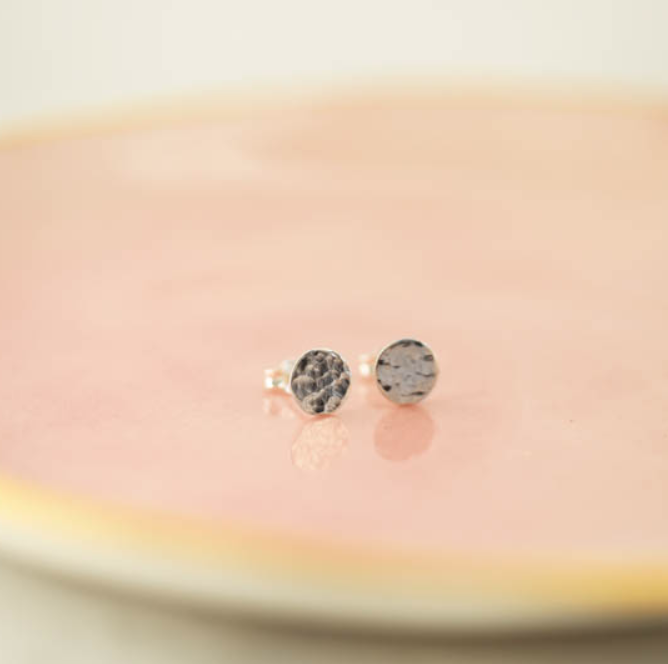 Sterling Silver Hammered Studs, a pair of artisan crafted silver studs. 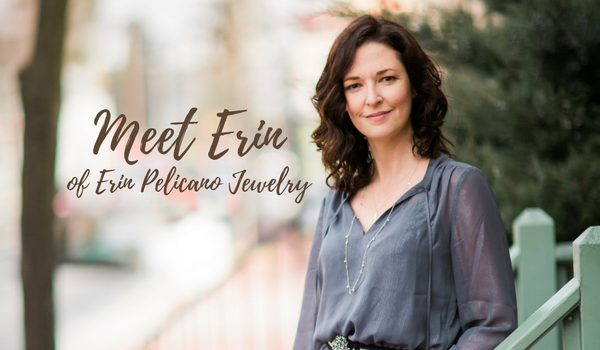 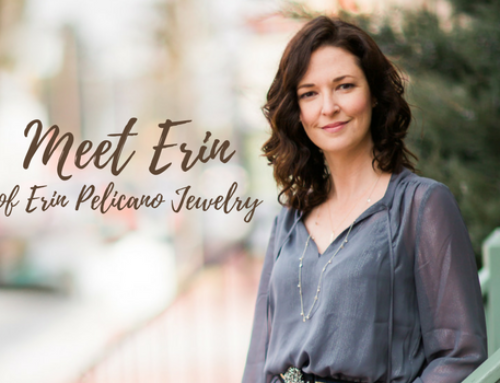 Each is hand crafted, matching Erin Pelicano hammered jewelry collections, approximately 8mm across.